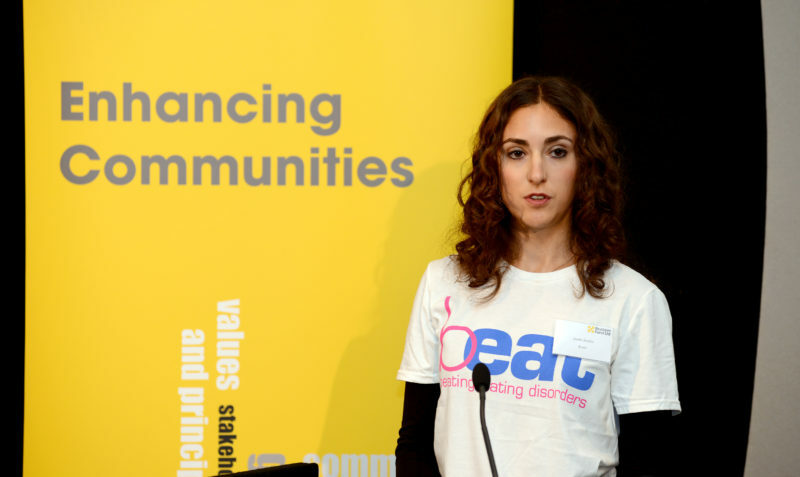 Beat is the UK’s eating disorder charity. Since 1989 they have been providing support to people suffering from eating disorders, their friends and families, and other caregivers, and working to raise awareness and understanding of these serious mental illnesses. Beat’s vision is an end to the pain and suffering caused by eating disorders. They run helplines that anyone can call or email if they’re worried about themselves or about someone they know, or if they need someone to talk to. Beat also create spaces where people affected by eating disorders can talk to each other, with online support groups and message boards available for people to share their experiences. – Online recovery group attendee. Outside of providing direct support to sufferers and their loved ones, Beat campaign for better understanding, challenging the stigma and misconceptions that surround eating disorders. They provide training in schools and workplaces so that people are aware of the signs and symptoms, and encourage healthcare professionals to recognise eating disorders as mental illnesses, rather than looking for physical signs. Their aim is to get people into treatment as early as possible, increasing the chance of a full and sustained recovery.